We like to say the Inflatable 5K was born on the back of bar napkins, because, well, that’s the truth! Those napkins were the sketch-pad from which dreams came to life one night in an Orlando bar. It’s unclear how inflatables even came up in conversation or how many beers had been consumed at the time, but thresulting inflatables are so gigantic we couldn't believe our own eyes! 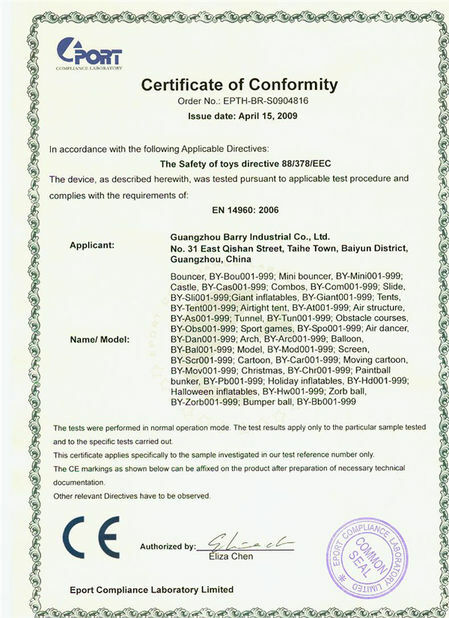 If you want to hold a amazing event,welcome to cooperate with Barry Inflatables! Get ready for the UK's only inflatable 5k Santa Run! It’s back! Grab your hats & hold on to your sacks for quite possibly the most mental 5k Santa run you'll ever see! Pit your wits against ten giant inflatable obstacles that will let you flip, bounce & boing your way around a 5k course in full Santa kit!! Sounds crazy? It is. Guaranteed to be so funny you'll complete this with your sides hurting from laughter! 10 huge inflatable obstacles on course! 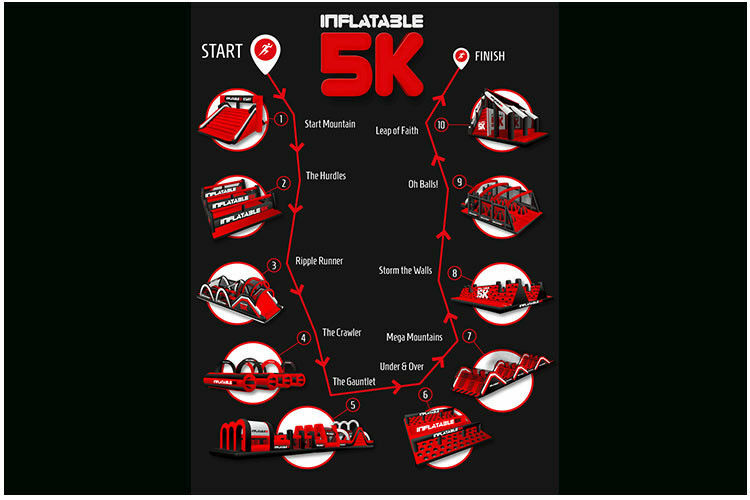 The giant inflatable obstacle course that guarantees to be the most fun 5k you have ever run!